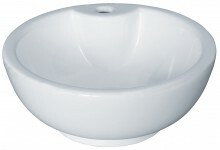 Round washbasin diam. 40 cm with chromed overflow and faucet hole diam. 36 mm.